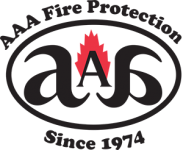 Concord businesses looking for fire extinguisher services can turn to the professionals at AAA Fire Protection Services. We've been helping businesses just like yours for more than four decades. We work with the California fire code every day and we understand it completely. This is why we’re able to provide comprehensive fire extinguisher services at highly affordable prices. In addition, we offer fire extinguisher sales and have a wide range of types of fire extinguishers. Our goal is to make compliance with the fire code as easy and affordable as possible. As a local family business, we understand the challenges that businesses face when complying with complex codes and regulations. That is why our expertise is so valuable. Our method of doing business begins with honesty and a good healthy dose of integrity. We are proud of our four decades of service and the long and positive relationships that we have forged with clients with whom we work. If you are ready to work with a professional team who understands the California fire code and provides comprehensive services at affordable prices, then just give us a call at (800) 543-5556.